There are plenty of ways to protect your privacy, from stopping apps from accessing location data to denying apps access to your contacts. 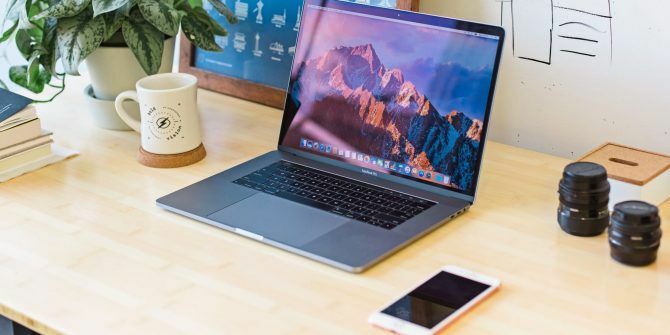 As a Mac user, you have a few handy options for further securing your Mac laptop or computer The Ultimate Mac Security Guide: 20 Ways to Protect Yourself The Ultimate Mac Security Guide: 20 Ways to Protect Yourself Don't be a victim! Secure your Mac today with our exhaustive High Sierra security guide. Read More . Open System Preferences and go to Security & Privacy. You’ll see six categories of data Mac apps can access: location information, contacts, calendars, reminders, photos, and Mac analytics. There’s also an Accessibility tab listing apps you have allowed to control your computer. Click on each category to see which apps have access to your data. If any apps have access to your data, click the checkbox next to the app name to disable access. Apple will also be giving users more control over the types of data that apps can access in the latest iteration of its operating system: Mojave. The update will add control over which apps can access your Mac camera and microphone. Have multiple computers? Windows 10 users also have options for controlling their privacy settings The Complete Guide to Windows 10 Privacy Settings The Complete Guide to Windows 10 Privacy Settings Do you know how much personal data you're actually sharing when using Windows 10? We show you every single Windows 10 privacy setting and what they mean. Read More while Linux users can also take plenty of precautions to protect their privacy 10 Great Tips for Protecting your Privacy on Linux 10 Great Tips for Protecting your Privacy on Linux Regardless of whether you believe Linux to be the most secure OS, all operating systems have risks and vulnerabilities that can be exploited. Here's how to deal with them on Linux. Read More . Explore more about: Computer Privacy, Computer Security, Mac Tips.